After many, many hours of work I finally present to you Cooking and Ingredients Overhaul! Plant Only version has not been updated yet, as well as any TashaFaun tweaks. - New ingredients: Granola and Chicken Breast. - Renamed Duck Pet Food into Turkey Pet Food. Chicken Pet Food now uses Chicken Breast instead of Turkey. Fish Pet Food uses any fish. All new recipes use three ingredients. - Implemented carrot into bar drink names - will produce veggie drink now if used. - TashaFaun was kind enough to add "All new fruits are buyable" to regular version as well as to "Plants Only" version (along with Life & Flame fruit). You can get it in this thread in Downloads section. You need either my version or a tweaked one. Not both. Treat tweaked versions the same as mine and on any problem related to my mod report to this thread, but pay attention if those mods are up to date. - If you have mod that alters LN venues open times just delete XML nr.270C087EF75701F3 in the package with the use of appropriate tool, like S3PE. It was reported that if sim has already planted new plants, his gardening skill journal will be unaccessible after uninstall. To prevent this replace Cooking Overhaul with Plants Only version. Works on already unaccessible journals also. All new plants will still stay and work after the replacement. - Better, more complex recipes. Almost every recipe now requires three ingredients (Ambrosia recipe was not changed!). 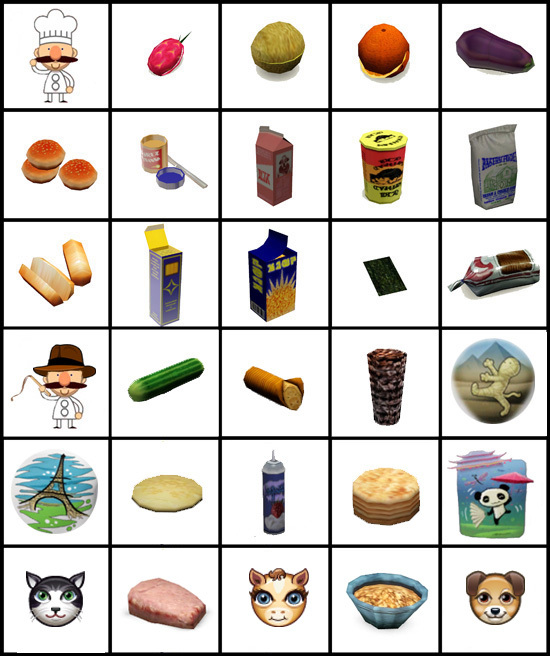 - 10 new non plantable ingredients: spaghetti, rice, macaroni, bread, buns, long buns, nori, peanut butter and yogurt. All in a separate UI tab! - 4 new plantable ingredients: cantaloupe, eggplant, orange and dragon fruit. - Every dish is made available to vegetarians with appropriate names; after all there are fish and meat substitutes on the real life market. - Faster cutting on cutting board. - Every meal available at any time. 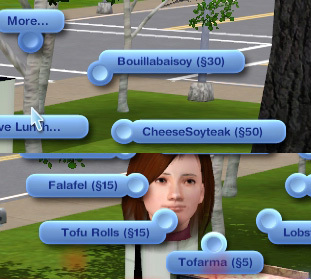 - 5 new non plantable ingredients: shawarma roll, whipped cream, pita, crepe and crackers. - Every dish added by WA now requires 3 ingredients. - Faster cutting for new recipes. - 2 new non plantable ingredients: Granola and Chicken Breast. - Renamed Duck Pet Food into Turkey Pet Food. Chicken Pet Food now uses Chicken Breast instead of Turkey. Fish Pet Food uses any fish. - Every dish added by Pets now requires 3 ingredients. All new ingredients have EA mesh. You can see them in a vanilla game on the cutting board and on the tray that sims are taking from the fridge, now they are all available to be used in recipes! 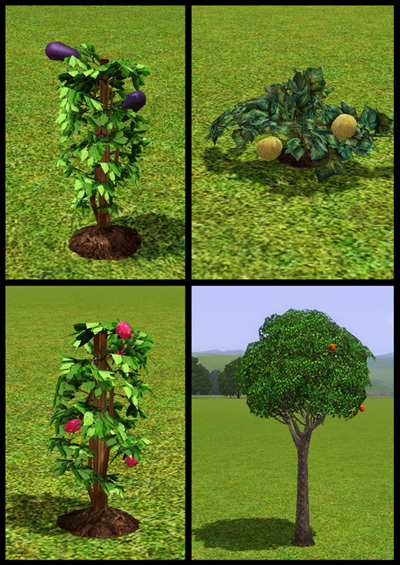 You can also use them as a clutter Every ingredient was customized and tweaked to better fit into the sim world - you can find seeds for plantable ones, fertilize with every ingredient and so on. You can also feed any ingredient to omni plant. Can use new fruits and veggies in bartending. All properties of the new ingredients can be found in the readme. There are now several new tabs in Grocery shop now: Diary, Bread and Misc. All with appropriate images and names. Cheese was moved to diary, egg to misc and "Meat&Cheese" tab renamed to just 'Meat". All work was done entirely by Henek so all credit goes to him. Thank you very much for this! - Links and Turkey are now available for fertilizing. - Changed prices at "Food Register" to be about 10$ higher then if you make food by yourself at home from grocery bought ingredients. - Bartenders can now make drinks with new fruits and veggies with appropriate drink name changes. For example Veggie drink from Zucchini. - Added new tabs in grocery shop for less cluttering. Cheese was moved to Diary tab, egg was moved to Misc tab and "Meat&Cheese" tab renamed to just "Meat". The entire work was done by Henek so all credit goes to him. Thank you very much for this! - Stu surprise is suspicious to vegetarians, because you may never know what's inside unless you make it; alternative, vegan friendly, version is available. - Translations for WA additions: Russian, French, German, Polish, Dutch and Spanish the rest will see them in English. - Portuguese Standard and Portuguese Brazilian are the same, and the same for Spanish Spain and Spanish Latin American. If there are cases where this is inappropriate, please, report. - If you want more languages, I'll be glad to add your translation into the mod. - Added Plants Only version both for WA+Base Game and for 1.4.6 version of the Base Game. It contains only plants and nothing else, no fixes or other changes. I added this mod primarily as a replacement for the main one in case of the uninstall. 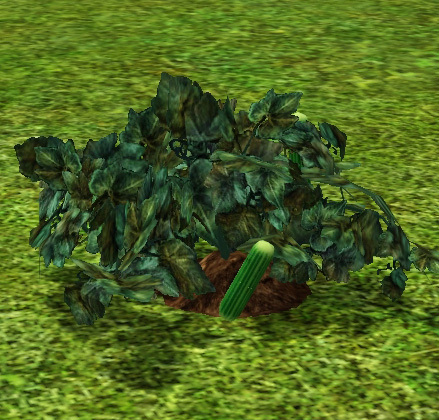 It will prevent your sims' gardening journals from becoming unaccessible. This will also work on already unaccessible journals. Please report if there are any problems. All new plants will still stay and work after the replacement. There is a pretty visible seam on new fruits. There is also one on eggplant, but it is much less visible. This is because lazy EA instead of making a new mesh for a whole fruit plopped two halves of it together, and even that they did sloppy. I have no idea how to make custom meshes, and if someone wants to step in and help I'll be very glad. If this seam bothers you too much, just don't plant them. - No new specific opportunities and wishes are linked with new ingredients or recipes. If you'll see a wish about certain meal, treat it by the old recipe. I will not change this, as I suspect it may generate many conflicts with numerous other mods now and in the future. On the good side you may still get wishes and opportunities that are available to produce in general, like "Bring 10 perfect harvestables to the restaurant",and they will satisfy such a wish. - No modularity. All the things I changed tied so tight together that it is almost impossible to separate them. Also making different versions of the same thing of this complexity is bound to present more errors. If you do not like something or think that it should be different you are welcome to change and tweak it to your likes, read Policy part for details. You may notice now that food from the fridge costs more then from the store. This is EA behavior, it just wasn't so apparent before, cause fridge and grocery apply the same bonus on the plantable produce, but only fridge applies bonus on non plantable produce. You can observe this in vanilla game with Stuffed Turkey and Hot Dog recipes. Now that almost every recipe is dependant on non plantable ingredients this is more noticeable. Also intersting that produce from the Grocery comes in a "Nice" quality and from the Fridge in "Neutral"! 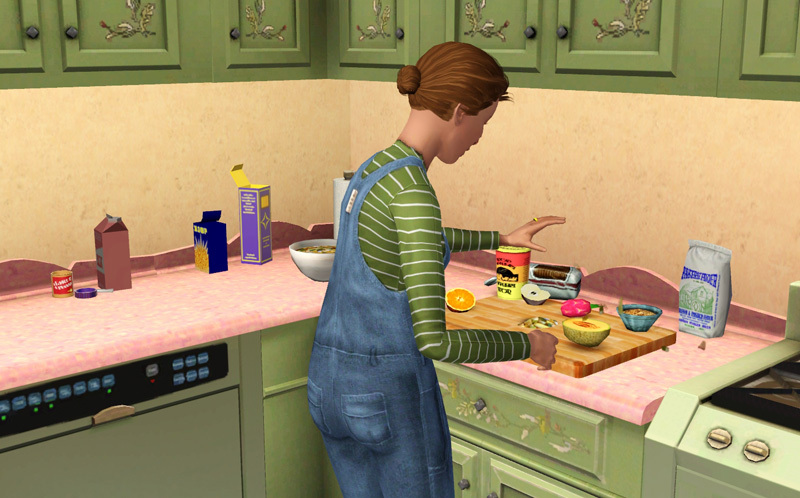 - Remove and delete all new ingredients and vegetarian dishes from fridge and sims' invenories. Dispose of all new plants. After that it should be safe to remove mod from Packages folder. - It was reported that if sim has already planted new plants, his gardening skill journal will be inaccessible after uninstall. To prevent this replace Cooking Overhaul with Plants Only version. Works on already unaccessible journals also. All new plants will still stay and work after the replacement. - This will most certainly conflict with "faster cooking" type mod; they can still be used together as long as this mod gets higher priority. PM me if you don't know how to achieve this. You will not loose functionality of the faster cooking mod, as the only option that may conflict is cutting and it was made faster in my mod also Do not use these mods together unless you make a priority check!!! There is also this faster cooking mod on MATY that doesn't conflict with mine and works perfectly. - This shouldn't conflict with Indie Stone's mod or awesome mod or any other core mod that I know of. Feature of "meals at any time" will not conflict with awesomemod, as it was integrated differently, you just won't notice difference. Also all ingredients and plants are the same to awesomemod and can be eateable and plantable anywhere with appropriate options enabled with awesome config. - This may conflict with any mod that alters plants, recipes and ingredients, they may also be called grocery mods. With LT EP may also conflict with mods altering bars menu and drinks. You may do whatever you want with this mod, I don't care. You can even PM me and I will explain my best how I did this thing or another. Also this tutorial is the best for getting started Tutorial:Sims 3 XML Tuning Modding . All my comments have @ sign in them for easy Cntl-F finding. If you'll tweak this mod and decide to upload your version, please, give a link to the original file. Also, NO Paysites. This mod is in testing stage. I tried my best to check everything but there were so many things changed and added that you never know. Please let me know of any problem you encounter.